Beginning with John D. Rockefeller Jr., several generations of the Rockefeller family have made a home away from NYC in Maine, and played a key role in helping to protect the state's natural resources. 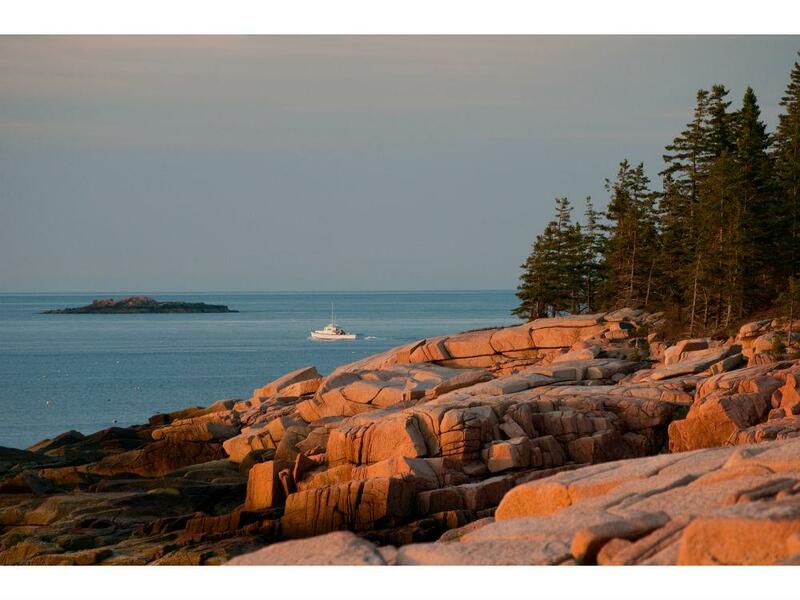 Spending his summers in Seal Harbor beginning in 1910, Rockefeller went on to purchase 11,000 acres of land on Mount Desert Island that he donated to Acadia National Park, also building its scenic network of carriage roads and stone bridges. John D. Jr.'s son David and David's wife Peggy furthered the legacy of preservation, largely through Peggy's founding of the Maine Coast Heritage Trust, which was one of 12 beneficiaries of the auction of the Peggy and David Rockefeller's art collection at Christie's this past May. "Peggy and David were avid sailors of the coast of Maine," he says. "One day, after seeing some unexpected new building on the coast on one of their favorite sailing routes, Peggy got the idea of doing what she could to conserve some of the coast so it wouldn’t all be subject to development as places to Maine’s south did. The legend is that she burst into her close friend Mary Rea’s island home shortly after this and said, 'Mary, we’ve got to do something!' Soon after, she and her old friend Tom Cabot conceived of Maine Coast Heritage Trust and it was officially formed in 1970." Initially, Knox tells us, the Trust worked to educate landowners near Acadia National Park about the benefits of conservation easements (legal agreements to restrict development on the property), and helped negotiate the easements to be adopted and held by the park. This work later expanded to the whole coast, and in the 1980s, MCHT began to hold conservation easements itself (which involves managing the land with the owners) and to acquire its own land through donations and, more recently, purchases. Of the Rockefellers, he says, "They were ever generous, courteous, visionary and creative. Passionate about the mission to keep the coastal character of Maine intact and making sure there was a place for all uses of the coast—from sailing to clamming to fishing to hiking. Peggy remained on the board until her death and was the leading light. David was involved behind the scenes, but always was extremely supportive of Peggy’s work with the Trust. Many of the Trust’s most important conservation successes originated directly or indirectly with lands the Rockefellers held. One of the more recent donations was Rich’s Head on Frenchboro Long Island." Knox adds that while MCHT remains active in conserving coastal and island properties, its scope has broadened over the years. "Now we're also working to mitigate the impact of climate change through efforts to conserve critical saltmarsh habitat and through river restoration projects," he says. "A core part of our work is keeping the coast open to public access. Our largest single project at the moment is trying to purchase Clark Island in St. George for conservation and open it as a public preserve. It's a $4 million project." For those looking to make a summer escape to Maine, Knox recommends Casco Bay, not far from Portland, as the closest to New York. Its islands are "simply spectacular," he says, "and like all of our preserves they're free and open to the public." Know that there's little public transportation in Maine, but as Knox notes, "One amazing exception is the public ferry from Southwest Harbor to MCHT's Frenchboro Long Island," a destination for hikers on the Maine coast. Learn about summer events from the Maine Coast Heritage Trust here, as well as ways to help support MCHT's environmental mission. And read more about the conservation work of the Rockefeller family here.